The first time you encounter Teen Vogue in this way, it’s hard not to go along, to turn your head and internally giggle at the idea of a magazine with teen in its title beating Pulitzer prize winners at accountability, even if only this once. The second time you might be a little less shocked or bewildered, maybe it simply plays into your idea of 2016 as topsy turvy times, just another sign that reality is slipping and we’re all doomed. But the third, the fourth, the fifth time…shouldn’t it sink in that Teen Vogue, regardless of whatever notion you had of it before, might be worth treating as a legitimate publication? Might it be worth looking into why the magazine is suddenly on the journalistic radar? To see who is responsible? Earlier this year, Teen Vogue made actual history. 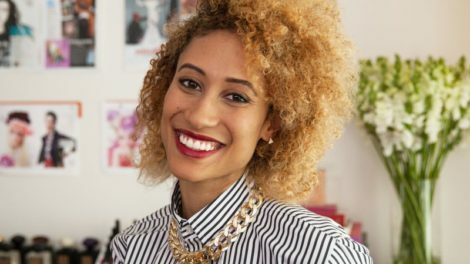 In May, it was announced that Elaine Welteroth would be taking over the magazine, making her the youngest person to ever become an editor-in-chief of a Conde Nast publication and only the second black woman in the company’s history to receive such a promotion (for those curious, the first was Keija Minor in 2012 at Brides). Welteroth might not have had the cultural profile of, say, First Collection of Criticism by a Living Female Rock Critic author Jessica Hopper but she had a notable track record, with section editor stints at both Glamour and Ebony alongside her Teen Vogue work. More importantly, she had already given hints of what her editorial reign at Teen Vogue might look like with features like “7 Girls Show What Beauty Looks Like When It’s Not Appropriated.” Most of us weren’t paying attention when this promotion happened, but in a way that might have even helped Welteroth pull off her coup– she was allowed to develop a team and an editorial direction for that team away from the limelight. Elaine Welteroth is the youngest editor in chief in Conde Nast history. When we talk about the death of journalism in the 21st century, we usually tie it to the rise of clickbait and the closure of longstanding historical print outlets. We place the blame on restless audiences with no interest in reading past shocking, immediate headlines or on readers unwilling to pay for quality writing. But we don’t usually talk about the disappearance of editorial voice, of the feeling that the best publications are helmed by someone with singular vision. We talk even more infrequently of the unwillingness of out of touch editors and publishers to step away and hand over the reins to a new guard. If we talk about editorial voice at all, it’s usually in a negative context, like the impact Breitbart leadership had on the 2016 election. But as Welteroth shows, there is still a demand for publications with strong, passionate, intelligent leadership, particularly if it comes from leaders who are younger and have perspectives that are not as represented as they should be in media. Welteroth is far from the only young woman surprising audiences at unexpected publications. 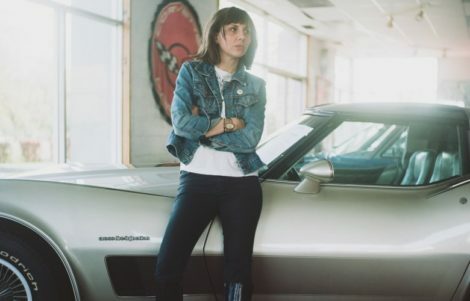 After Pitchfork itself was acquired by Conde Nast, Jessica Hopper stepped away, vaguely hinting at an important new project she was working on before reappearing at MTV News, which she has completely reinvigorated by hiring bold and eclectic voices for everything from features to the site’s inimitable social media style courtesy of Darcie Wilder. Music streaming service Bandcamp put serious time and energy into developing an editorial arm of its site and one of its first and best moves was hiring Jes Skolnik as managing editor [correction: J. Edward Keyes is the Editorial Director of Bandcamp with Ally Jane Grossan and Marcus J Moore serving as Senior Editors], along with an army of fearless freelancers with a taste for music outside the indie establishment. 2016 has been an unquestionably dire year on many fronts, but one of its bright spots has been the increasing number of editors like Welteroth, Hopper and Skolnik rising to major editorial positions and the diverse teams they bring up along with them. 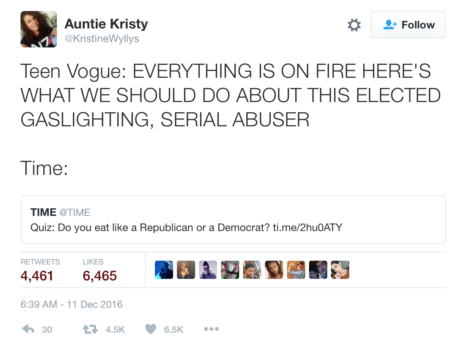 So why is it that we still speak of Teen Vogue as a joke? Why is that when we talk about Teen Vogue, we erase Welteroth and her team’s names, as if the magazine is a sentient bundle of paper doing all of this change on its own? If 2016 has shown us anything, it’s that media still holds incredible power and unfortunately the traditional outlets failed to use that power in any responsible way, shirking responsibilities and allowing demagogues and fake news sources to con an entire population. 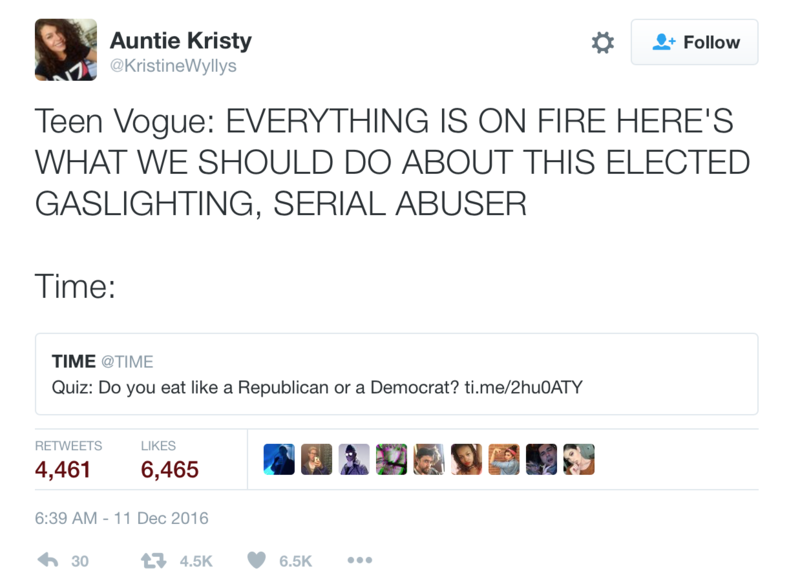 Instead of joking about Teen Vogue and condescendingly treating the publication as a sign of how far things have fallen, we should be celebrating what Welteroth is doing and asking ourselves what other nontraditional outlets are rising to the occasion to fill the void the spineless traditional media has left. As The Guardian pointed out over the weekend, the challenge to the current status quo “could come from unexpected quarters,” particularly since figures like Welteroth are proving themselves to be braver than even their bosses, with The Guardian juxtaposing a toothless apology by Anna Wintour about anti-Trump comments she was overheard making and Lauren Duca’s excellent “Donald Trump is Gaslighting America” piece. Both appeared at more or less the same time and conveniently showed how established figures like Wintour are simply unwilling or unable to tackle the New American Fascism head on. That’s in part because Wintour and her peers are editing for an established, outgoing generation while Welteroth is appealing directly to a threatened and politically active youth. 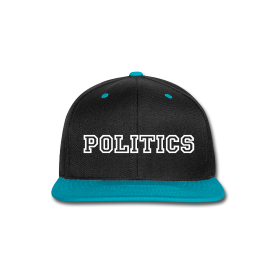 We snicker at the idea of publications for teens but know that in more or less every society, political change and action has always come from the young. There’s even plenty of precedent for Welteroth and Teen Vogue’s ascendance, whether it’s underground gay icon Danny Fields’ managing editor run at Datebook Magazine or the impact the youth oriented Rolling Stone had on the 1972 Democratic primaries. Both of those publications faced similar disbelief during their rise but if we’re smart, we’ll stop joking about Teen Vogue’s work and start encouraging it, treating Welteroth’s editorial work not as a shocking outlier but as something that we expect all publications of note to follow. 2016 has shown us what happens when we don’t hold our media accountable, when we let the privileged and out of touch navigate the discourse, but Welteroth shows us how things can be and for that we should not only be celebrating her, but asking how we can help. Maybe start by gifting friends and relatives with a subscription (only $5 right now! ), regardless of their age.